Influences like temperature variation, drafts, and air humidity can heavily compromise precision. The Fraunhofer Institute for Machine Tools and Forming Technology IWU is exposing machines to various climate zones around the world without actually shipping them to Southeast Asia, Canada, or Brazil: A newly inaugurated climate chamber is able to test how ambient conditions affect the function of lathes and other machines. Machine tools are thermally sensitive: operational precision can be disrupted when hall doors are opened in the winter, even for a brief period of time. Most companies have manufacturing facilities situated around the world, often in environments without air conditioning. The result is machinery imprecision and product rejections. Power units and other heat sources like hot tools can also have a negative effect. In a recently inaugurated climate chamber that is one of a kind worldwide, researchers at Fraunhofer IWU in Chemnitz are studying the influence that climate conditions and ambient interactions exert on machine tools and their components. “Exposure to sunlight and drafts causes thermal interactions in the form of structural stretching, which we are able to reproduce in the environmental chamber. 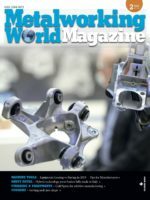 The aim is to stabilize and enhance machine precision directly via a machine control system by correcting thermally-induced errors during operation,” explains Dr. Janine Glänzel, research scientist at Fraunhofer IWU. To cite an example, thermal influences particularly affect machines with long beds or vertically structured systems because they accumulate heat asymmetrically during operation and bend to one side. 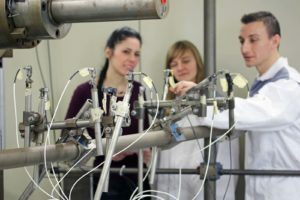 The research scientist and her team simulate a wide variety of temperature scenarios: In the newly inaugurated test lab, temperatures of 10 to 40 degrees Celsius can be configured with a tolerance of plus/minus 0.1 Kelvin as well as air humidity of 10 to 90 percent with a tolerance of three percent. “We turned the thermal chamber we had into a climate chamber. The new ventilation components, steam humidifier, and absorption dryer now enable us to control air humidity in addition to temperature,” says Glänzel. For example, the researcher and her colleagues are able to study the influence humidity has on the swelling properties of modern materials like wet mix concrete. Thanks to a surface area of 40 square meters, a vertical clearance of 4.5 meters, and a removable ceiling, the environmental chamber is large enough to fit not only individual components, but also entire machine tools which are lifted into place by the hall crane. The temperature-controlled flooring is designed to hold a maximum weight of 20 tons. Before initiating measurement, the researchers perform a simulation-based analysis to determine where best to place temperature and displacement sensors. The scientists adhere the temperature sensors directly to the machine, while the displacement sensors are mounted onto a measuring frame set up around the machine tool and linked via small rods to measuring blocks at neuralgic points – i.e. in locations where the researchers are able to measure the most influential thermal displacements. The temperature sensors enable them to measure the influence that internal and external thermal loads have on the machine structure. Temperature fluctuations are mapped automatically over the course of the experiment. It’s also possible to gauge the behavior of machine tools under long-term exposure. “The principle behind our sophisticated technology for cooling and heating functions like the climate control system in a car,” according to Glänzel. That means manufacturers and users alike have the ability to configure their machine tools in advance, and to adapt them to future ambient conditions. When displacement does arise, the researchers implement corrective algorithms they have developed themselves to adapt production precision. The measured values are integrated into the corrective process. “We calculate correction values directly via a reference point on the tool, known as the tool center point, so that thermal deformations during production can be corrected,” explains the mathematician with an affinity for technology. Additionally, the researchers determine the level of heat dissipation from the machine tools before transferring it to the cooling system to save energy. 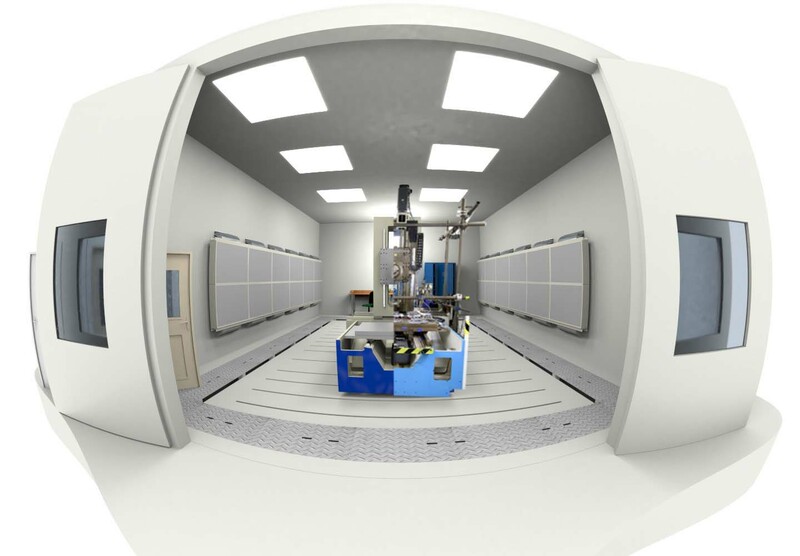 The climate chamber is the focal point of research in the special project Transregio 96, “Thermo-energetic design of machine tools,” which aims to adjust the parameters of energy use, precision, and productivity to achieve an optimal solution. The German Research Foundation (DFG, Deutsche Forschungsgemeinschaft) is sponsoring the research project.